Here, we don’t rush nature. 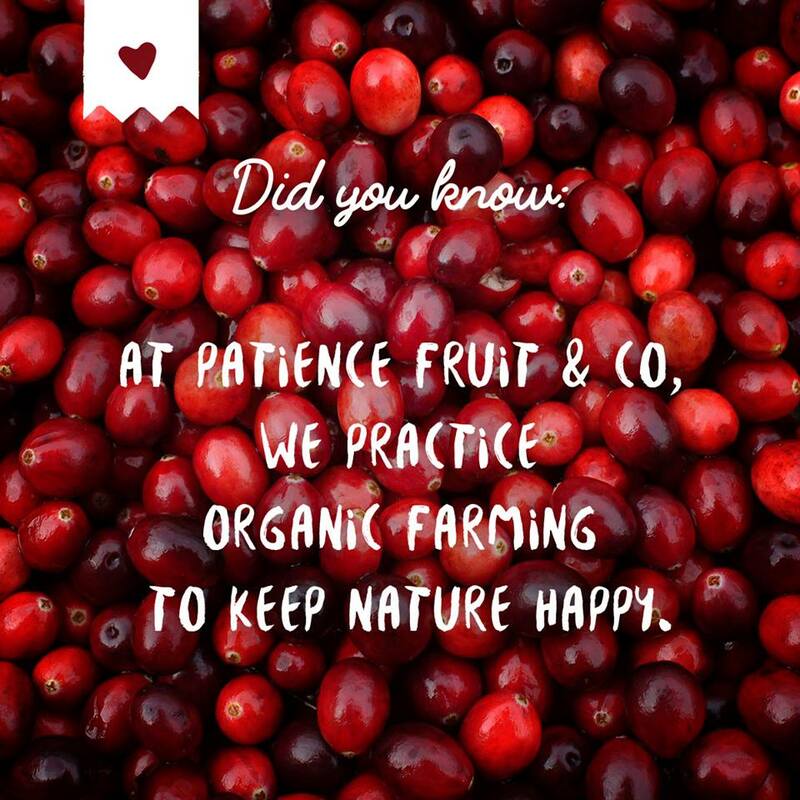 We let our cranberries take their time. Since the very beginning, we’ve practiced an organic agriculture, with neither fertilizers nor chemical pesticides. We remove all weeds by hand, and we do not ask more of nature than what it already provides. You can taste the result : cranberries that are larger, softer, better tasting, and of better quality. Welcome to Notre-Dame-de-Lourdes, a tiny corner of nature in Québec, home to 700 people and millions of cranberries. These little berries thrive in the sandy, acidic soil that makes up much of Centre-du-Québec and the land surrounding the village—land that is often overlooked as being less rich by traditional agriculture, but on which both our berries and our people flourish. Like many fruit shrubs, the cranberry is a hardy plant that has learned to adapt to its northern soil. Contrary to popular belief, cranberries do not grow in water. Rather, cranberry fields are flooded at harvest time to make berry-picking easier, a scene that is always spectacular to watch. Since the very beginning, we have practiced organic farming, and are always striving to reduce our ecological footprint. For instance, we utilize a “closed circuit” watering system, in which rainwater and snowmelt are collected in a drainage basin and then used to irrigate the fields and flood them at harvest time. We grow larger berries, then steep them in apple juice before gently drying them. This is why our berries are plumper and softer, for a result you can savour. Our Canadian wild blueberries are simply delicious and nutritious! Bursting with flavour, they are dried slowly to preserve their soft texture and are sure to add an irresistible taste to your breakfasts and snacks!<br><br> Our wild blueberries come primarily from Quebec and New Brunswick, where they grow naturally. Although they are smaller than blueberries grown conventionally on farms, they also contain more polyphenols! Our dried blueberries are sweetened with apple juice and contain 190 mg of polyphenols per 40 g serving. This exclusive blend of three berries offers a surprising combination of flavours. We only use organic wild blueberries in our berry blends, because we prefer the intensity of their flavour.